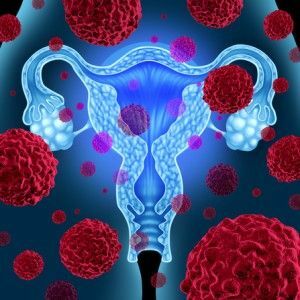 Endometrial cancer refers to cancer that starts at the endometrium, which is the inner lining of the uterus and is the most common type of uterine cancer. Its exact cause is unknown, but increased levels of estrogen in the body may play a role. This is because estrogen has been seen to stimulate lining in the uterus, which may eventually lead to endometrium overgrowth and cancer. What increases the risk of cancer? Endometrial cancer prognosis Aside from these factors, some health conditions also increase the risk of developing cancer, and these conditions include breast cancer, colon cancer, diabetes, gallbladder disease, and high blood pressure. Surgery – surgery is done to remove the uterus, and oftentimes, the fallopian tubes and ovaries, too. This is usually done for the early stages of cancer when the problem is still contained inside the uterus. Radiation – this treatment makes use of powerful energy beams to kill cancer cells. In some cases, radiation may also be done prior to doing surgery, as it shrinks tumors and makes them easier to remove. Hormone therapy – it involves the intake of medication, which in turn affects the hormone levels in the body. This is usually done for those with advanced endometrial cancer, especially that which has already spread outside the uterus. Chemotherapy – one of the most common cancer treatments, chemotherapy uses chemicals to kill cancer cells and is also recommended for women with advanced levels of endometrial cancer. Endometrial cancer staging If indeed you are diagnosed with endometrial cancer, you will need to undergo treatment, which will depend on the characteristics of the disease – like what stage it is, your overall health and of course, your preferences in terms of treating it.